Who says golfers are boring? 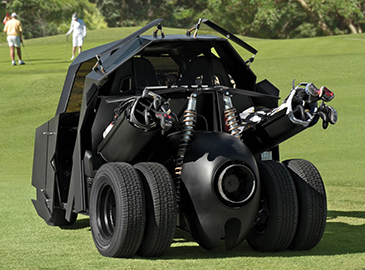 One look at these crazy golf carts and you will see just how much fun can be had cruising around the course. 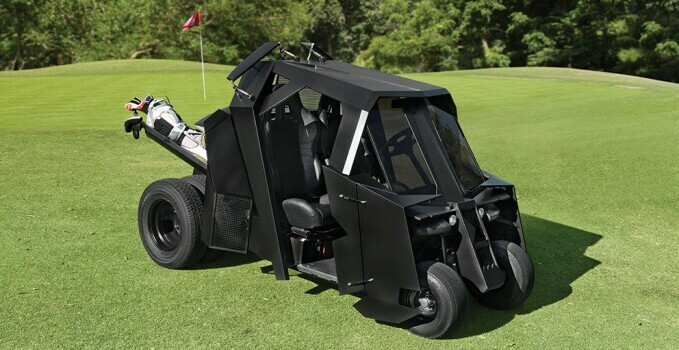 This Dark Knight inspired golf cart is available for the low price of $28.5K. 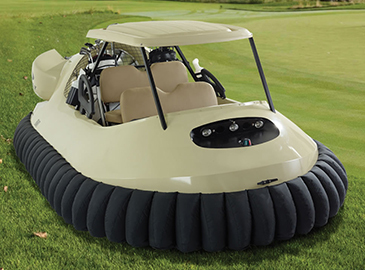 Imagine avoiding villainous sand traps and water hazards with this cart’s six course friendly tires. The six horsepower, battery operated motor reaches 38 miles per hour. And don’t forget about the wings, that’s right folks, this bad boy has wings that fold around the passenger compartment to protect you from incoming evil golf balls. Looking for something a bit more ‘high end’, the Brooklyn is a luxury golfers dream. 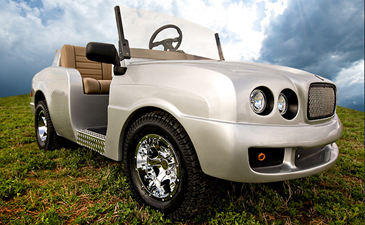 Seen here featuring polished rims, leather seats, custom pearl paint, this beautiful golf cart can glide you across the course in style. It has twin headlights that give it the unique style of a British luxury automobile. Starting at $16.5K, you are sure to be the envy all the other golfers in this one. This Turf Chopper BigBoy is at a much more affordable price point of about $3K. 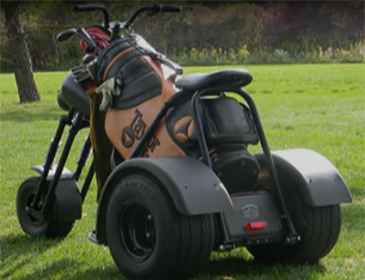 This motorcycle inspired ride is great for the single golfer on the go. Large turf friendly tires make it super stable, and its small size will allow you to maneuver in those tight spots most golf carts can’t turn in. Using a motorcycle twist type throttle you will feel like you're cruising on a chopper. And finally who could forget the Bubba hovercraft? Coming in at a whopping $58K, you will glide across the course powered by nine axial flow fans, a 65 hp twin-cylinder engine, 9” off the ground. Reaching speeds of 45mph you might need to watch out for pedestrians in while flying around the golf course. It can even cross water, with its hull meeting United States Coast Guard standards you will always feel safe crossing those ponds. I don’t know about you, but I think this ride is pretty cool.